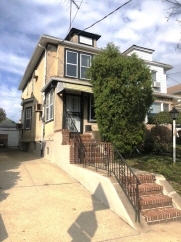 Newly Listed Prime Dyker location.....1 Family, 3 Bedrooms, Sunporch, Formal Living room and Formal Dining room, Eat-In-Kitchen, Full basement, Private drive with detached garage, nice secluded back yard with garden. New Gas boiler. Needs TLC.